With various service options to choose from, you can decide which package suits your needs, and as an independent agent we can tailor the services to suit you. Whether you’re a landlord with a single property or a large portfolio, we have the skills, knowledge and experience you can rely on to ensure your property is let and managed successfully. Excellent property management is often the key to establishing long lasting tenant / landlord relationships, to help avoid frequent turnover and void periods for your investment. With integrated Property Management systems provided by FixFlo, LMS can ensure efficient reporting and updating between the tenant, agent, landlord and contractor. LMS maintenance sub-contractors are suitably qualified and competent in their specific trade, and are on standby for any emergencies which can occur from time to time, or for routine preventative maintenance to keep your property standard high. 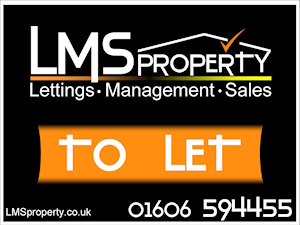 Speak to our office on 01606 594455 for further details or contact us now.